Elk Ridge is located just outside the western edge of Wichita at 183rd and Maple. This community offers a breathtaking countryside backdrop, yet is minutes away from the conveniences of west-end shopping, dining and entertainment. 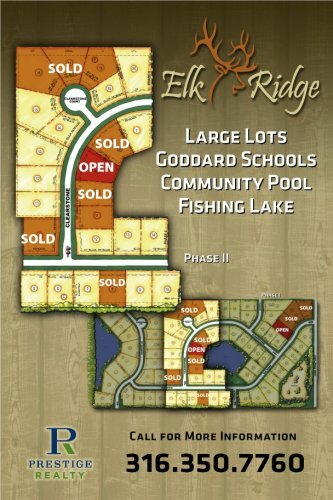 Elk Ridge offers sprawling half-acre to one-acre lots surrounded by fishing lakes, walking paths and gorgeous landscaping. 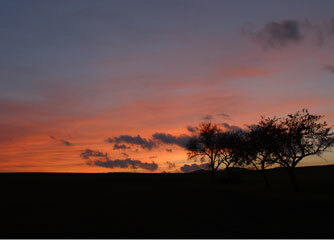 Goddard schools and a country lifestyle make this community a truly special place. Builders selected for Elk Ridge include Fouts Geller Building Group, Mike George Homes and Lies-Bugner Homes. Call (316) 350-7760 to learn more.